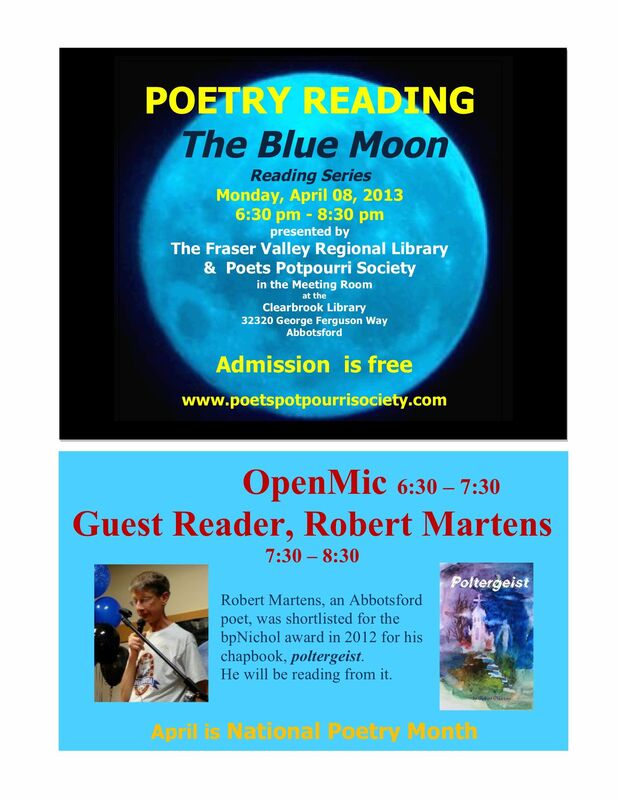 MSA PPS poets and friends celebrated National Poetry Month Monday, April 16th with a veritable potpourri of poems. 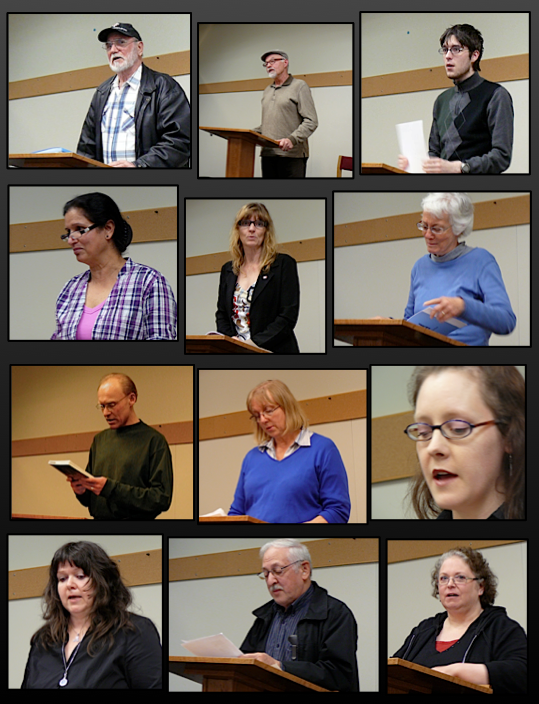 Our first Open Mic Poetry Night of 2012 saw thirteen readers and reciters present poems by Canadian poets from Bliss Carman to Robert Service, and Leonard Cohen to Jan Wood, as well as personal writings. We heard poems about poetry slams, tree bark, mother, spring, artists and musicians, ice cowboys and more, all summed up nicely by a poem about what a potluck of nationalities and poetic fare we have to offer. We also commemorated the 100th anniversary of the sinking of the Titanic with poems and other writings related to that historic event. 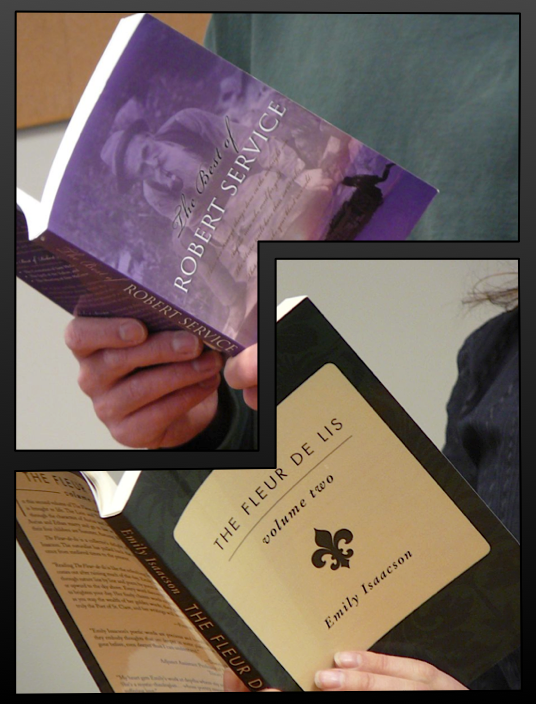 Bring poems to read or recite (your own or favourites by others) and sign up to read at the beginning of the evening.